Sometimes my couples have great dogs they bring along to the wedding. This one so happened to be part of the wedding party walking down the aisle with the groom. 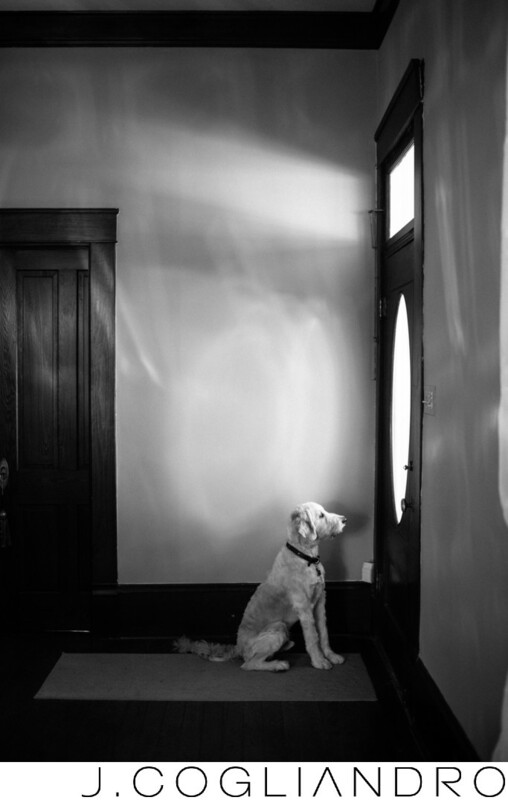 Here he is observing out the window his owners partaking in all the pre-wedding shenanigans. Location: Chandelier Grove, Houston, TX.